Most spas look great in the showroom, but it is important to ask yourself how the spa will look in a few months, or a few years. For this reason, in addition to the spa's inner workings, you will want to consider the material used for the shell. 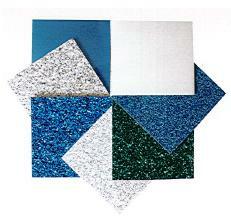 QCA Spa shells are manufactured with a patented four-layer strengthening process called Dura-Bond TM. This exclusive system combines the beauty of Lucite-Xtra TM Acrylic with a layer of ABS for shell strength and integrity. 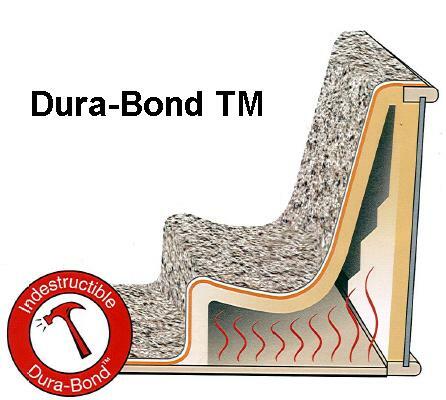 QCA Spas then applies a layer of double strenthening material called Dura-Bond TM. This high-density material is reinforced with a fibrous chop material that adds overall strength to the spa shell. The process is completed with a thick insulating layer of polyurethane foam. Lucite-Xtra TM cast acrylic is a non-porus material that resists strains like a build-up of lotions and body oils, which can ruin non-acrylic spas. This tough material keeps its shine and color despite sanitizing chemicals, high temperatures, and exposure to sunlight. Its durable surface resists chipping, cracking and denting. Lucite-Xtra TM is easily maintained with a sponge and mild soap. No additional polishing or waxing is needed to keep its lustrous appearance.